VP in Business Analysis, JP Morgan Chase & Co.
Building my first formula field was the moment that opened my eyes to the power of what someone with few technology skills could do with Salesforce. My story starts back in 2001. I was working at a top salon in my area blowing out hair 10-12 hours a day when I tore my right rotator cuff. My doctor told me the repetitive motion of the blow drying had caused the injury and that I should probably look for a new career. I was devastated. My salon manager ended up offering me a temporary office job until I could find new work. That opportunity led to another job as a secretary in “Corporate America.” I started out answering phones, taking messages, keeping calendars, setting up meetings—all pretty standard secretarial stuff. Over time, I got into database entry, inventory reporting, and customer service. I loved the metrics piece. It was almost like I was telling our company’s weekly story in an excel spreadsheet. I prided myself on those reports. It was my favorite thing to do every week. When did Salesforce enter the picture? I loved working on metrics, but assembling reports was time intensive and, by the end, the data was always a week old. I asked my manager, “Wouldn’t it be great if all of this stuff was in one system where we could just run reports?” My boss turned to me and said they were implementing something called Salesforce and that I should be on that project. I immediately loved it! By clicking a few checkboxes, I could alleviate helpdesk tickets that could take 3 weeks for a response. In 3 days, I had taught myself how to update report criteria and run my own reports. How did you become an #awesomeadmin? I spent hours each night reading about Salesforce and convinced my IT department to give me admin access. With that new authority, I created my first formula field that allowed us to drill further down into our contacts for info that we needed. That is the moment that opened my eyes to the power of what someone with few technology skills could do with Salesforce. 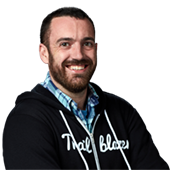 I knew this is what I wanted to do: I wanted to play with Salesforce all day and all night. But how could I make Salesforce my career? I searched Monster that night for Salesforce and there it was, my dream job. A startup was looking for a sales and field operations manager to do reporting and manage their Salesforce org. Bingo! I applied, and I got the job. I love to learn, but training can be expensive and time prohibitive. 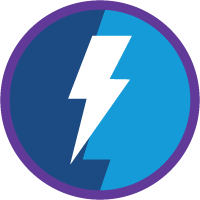 Trailhead lets me learn at my own pace and focus on the things I need to learn right now or the things I’m curious about that I’ve never used. 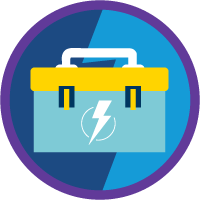 Salesforce has become a huge platform and to this day there are features I haven’t been exposed to at work, but I can get hands-on with them in Trailhead. Curiosity may have killed the cat, but also it launches Salesforce careers. I’m always curious about Salesforce and how things work. I usually reserve Sunday evenings for all things Salesforce, such as planning a user group, mentoring people, answering questions, or hiking some virtual trails. I’m constantly inspired by the Salesforce community and how genuinely everyone cares for each other. It motivates me to push myself harder and to focus on cultivating more talent and bringing more people into this family. Flow. For the longest time I had a hard time wrapping my head around how to use Flow. 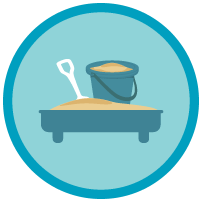 I went to trainings at Dreamforce and I would build my Flow in the course and then go back and think, "Hmm, how do I do this again?" Trailhead seemed to make it stick. I’m inspired by the fact that Salesforce empowers anyone, regardless of age, gender, race, income, social status, location, to learn their product for FREE. This inspired me to explore how we could use this great tool to help those in my city. NYC has a problem, a good problem, but still a problem. There are lots of job openings for Salesforce professionals (admins, developers, BA’s, PM’s, consultants, managers, the list goes on). But there isn’t enough talent, so we’re encouraging all types of people in NYC to learn Salesforce. 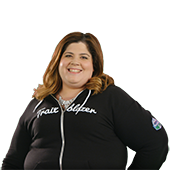 We’ve taught classes and held bootcamps (see Selina’s story). I’m constantly inspired by the Salesforce community and how genuinely everyone cares for each other. It motivates me to push myself harder and to focus on cultivating more talent and bringing more people into this family. If you ask the people in my local community, they will tell you that my greatest skill is being a master connector. I’m always introducing people I know to other people I know. As a User Group Leader and MVP, I talk to a lot of people in the ecosystem. Someone will tell me they are interested in doing something job-wise or community-wise and I file it back in my brain. When I meet someone else looking for a person with that interest or looking to do something similar in the community, I always make sure to introduce them. I love seeing people be successful. My greatest success will always be the success of those I’ve trained, managed, and mentored. 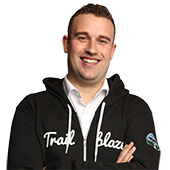 Being a Trailblazer means being able to take your life and career by the horns and blaze through. It means being open to learn everything you need for your current role, but also being driven to learn skills that prepare you for your next step. 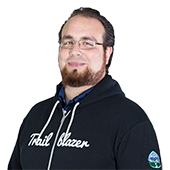 If you love Salesforce and are passionate like I’ve been, if you want to make it a career but are not sure you can, I’m here to say: "If I can do it, you can do it!" I could give you a giant list of things I’ve built on the platform, but what I really built on Salesforce was my career. 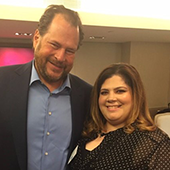 I started looking for a better way to support my family and I found Salesforce.